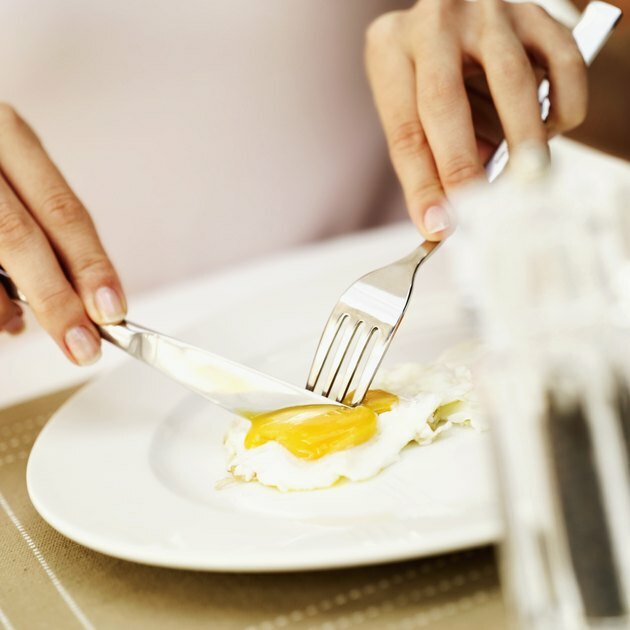 An easily digestible breakfast consists of simple foods that will not trigger overproduction of stomach acid, which can cause stomach upset or gastritis. Gastritis is an inflammation of the stomach lining that may be occasional or chronic. It can cause nausea, abdominal pain or vomiting. Consult your health-care provider if you experience these symptoms frequently, but even if you do not, consider starting your day with easily digestible foods as a preventive measure. Because fats are difficult to digest, keep them to a minimum in the morning. Top your toast or low-fat muffin with sugar-free jelly instead of butter or margarine, and replace butter and syrup on pancakes with non-fat yogurt and fresh, non-citrus fruit. Avoid fatty breakfast meats, such as bacon and sausage, because they can increase inflammation and cause heartburn and indigestion. 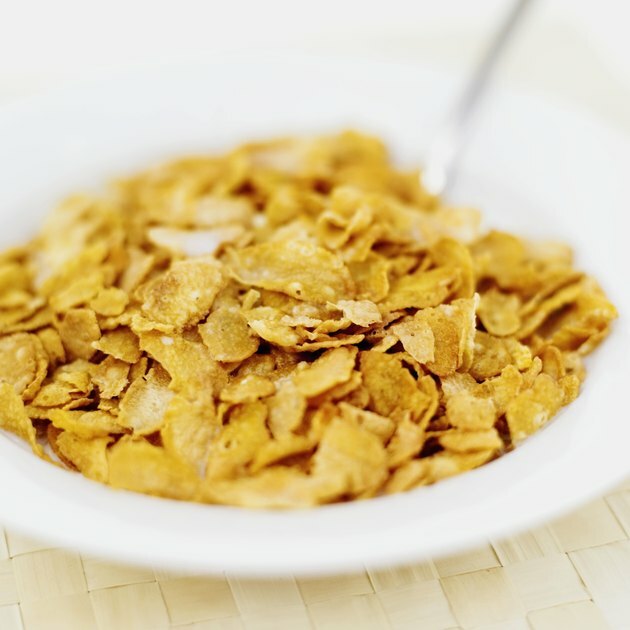 Plain cereals, such as corn flakes or cream of rice, are low in fat, quick to fix and easy to digest. Orange juice and coffee are breakfast staples, but they can both wreak havoc on a sensitive digestive system. Because caffeine triggers acid production in the stomach, the Cleveland Clinic recommends avoiding coffee and other drinks that contain caffeine. Instead, drink herbal teas. 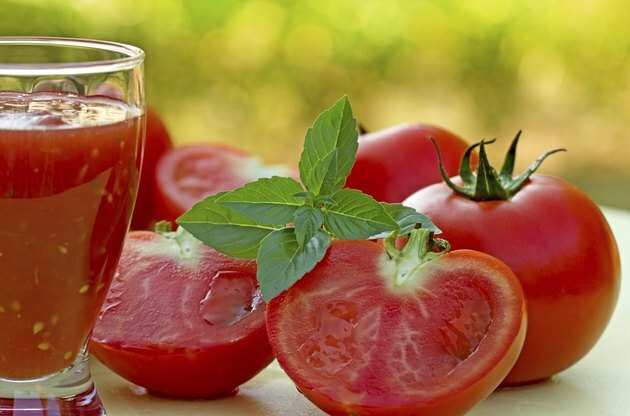 Tomato juice and citrus juices contain acid that can cause indigestion. Cranberry and cran-raspberry juice, nectars and diluted apple or grape juice are substitutes suggested by Seattle Cancer Care Alliance on its list of easily digested foods. Lactose is a form of sugar found in milk and other dairy products. Nearly 30 million Americans develop some level of lactose intolerance -- the inability to digest lactose properly -- by the age of 20. 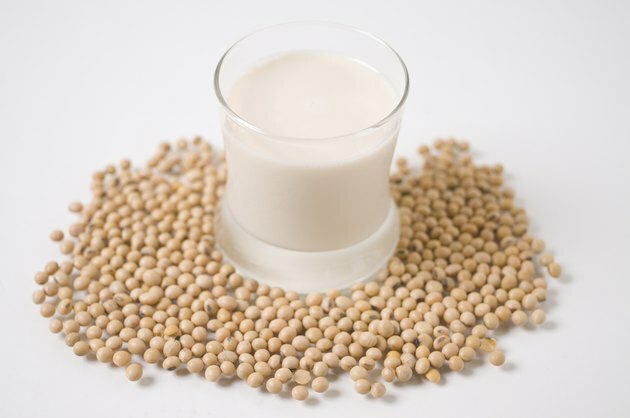 To avoid stomach troubles caused by lactose intolerance and make your breakfast easier to digest, switch to lactose-free milk, soy milk or rice milk for cereal and drinking. 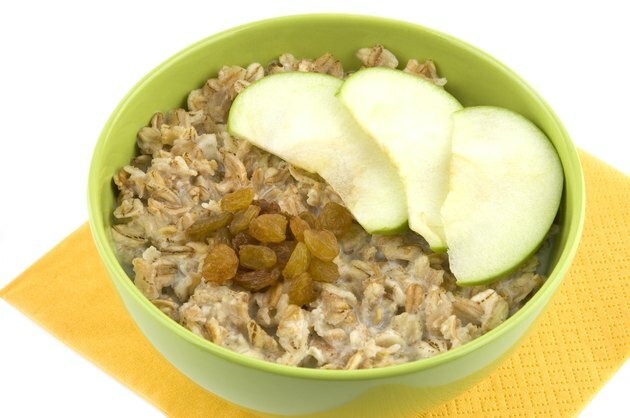 A healthy breakfast includes a balance of complex carbohydrates and protein with a small amount of fat. Egg whites and lean meats, such as Canadian bacon, are low-fat sources of high-quality protein that are easy to digest and keep you satisfied longer than carbohydrates alone. Cook them in a non-stick skillet without added oil or butter to retain their healthful properties.